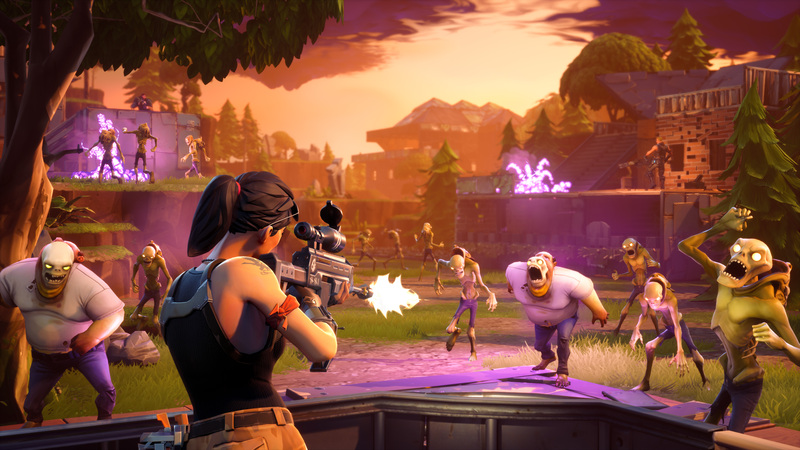 Fortnite: Save the World is here, and for battle royale fans, there's quite a few differences between the game's player-vs-player and player-vs-environment multiplayer modes. For one, Save the World features a much more robust weapon system. Players can acquire weapons by either looting for them or crafting a weapon from its Schematic, and most Schematics are pretty easy to get a hold of through Loot Llamas, missions, quests, or Transformations. Generally speaking, Fortnite's PvE mode offers weapons as six different rarity types: Handmade, Common, Uncommon, Rare, Epic, and Legendary. Legendary weapons are generally better than others, especially when it comes to ranged weaponry, but even Epic weapons can outclass their rarer counterparts at times. So if you're a combat-oriented player, or simply someone who wants the best arsenal in stock at all times, here's the best weapons tiers for Fornite: Save the World. Assault Rifles are the backbone behind every Soldier sub class, and for good reason: The very best Assault Rifles deal extensive damage and stack with Soldiers' ranged weapon and Assault Rifle buffs. 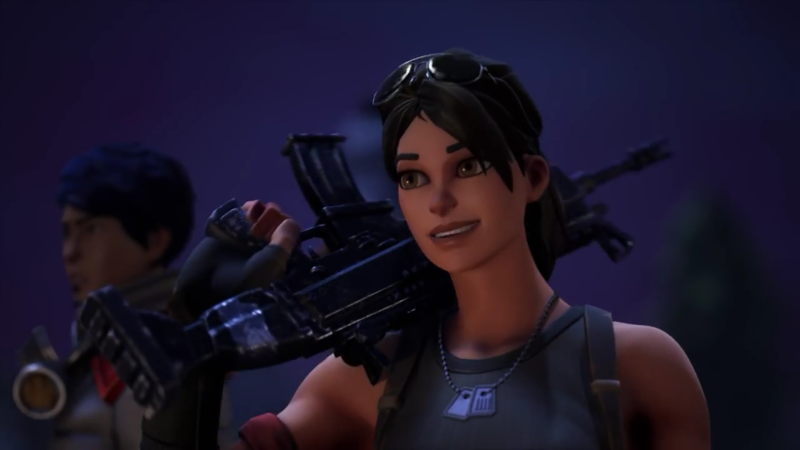 Sub classes like Special Forces benefit immensely from Legendary Assault Rifles, and Fortnite's best players can wipe out even the toughest monster hordes with the right picks. Here's some of the best Assault Rifles that players can acquire in the game, ranked by their usefulness. Siegebreaker Easily the best automatic rifle in Fortnite: Save the World, the Siegebreaker touts 23 damage per hit and a durability of 375, and its fire rate means that this weapon is great for both medium-range burst firing as well as short-range combat against incoming Husks. Razorblade What's not to love about this weapon? Touting 32 damage per hit and high durability, the Razorblade eats up ammunition but lays waste to enemies near and far with ease. Its burst fire also helps players control aiming, making sure every shot lands precisely where it should. Hammercrush Dealing 75 damage per hit with pretty solid accuracy, Hammercrush is a great choice for any Soldiers that prefer using a Slug Gun when they go into battle. However, Hammercrush is a semi-automatic rifle, meaning that it fires somewhat slow. So your mileage may vary with this gun if you prefer something a little bit more automatic. Specter If you're looking for a short-range rapid fire Assault Rifle, look no further than Specter. This Assault Rifle features little recoil and stacks well with traits like Start Up and Steady Aim, giving players an incredibly fast and stable weapon that can quickly knock down Husk after Husk. Like Assault Rifles, Sniper Rifles vary from automatic rifles to bolt-action snipers, meaning personal preference may vary. And while Sniper Rifles aren't the most popular firearm in Fortnite: Save the World, they're incredibly useful for medium-range and long-range combat against Husks, especially for the Soldier's Urban Assault class, which rewards successful consecutive headshots. For players that want to collect some of the best Sniper Rifles in Save the World, here's the PvE mode's top tier picks, ranked. Super Shredder Often considered one of the best guns in the game, the Super Shredder features minimal bullet spread and high damage per shot, letting players deal extensive firepower from both near and afar against enemies. Combined with its relatively high magazine size, the Super Shredder is a must-have, even if it doesn't come with a scope. One Shot As the name implies, this bolt-action sniper rifle fires slowly but deals devastating damage against enemies. It features a scope and also pierces through monsters, letting players take down Husks and Mist Monsters lined up neatly from afar. Bear in mind that this sniper rifle doesn't fire as fast as the Super Shredder, but it's equally devastating in its own right. Triple Tap This burst Triple-Shot Sniper Rifle features a scope and high damage output, letting players mow down incoming Husks from a distance. While the Triple Tap isn't quite as versatile as the Super Shredder and doesn't come with One Shot's devastating damage, it's a great compromise between both rifles without sacrificing raw damage output. Ralphie's Revenge Ralphie's Revenge is rare, but incredibly powerful. This Sniper Rifle lets players pierce enemies, and it deals significant damage thanks to its enormously high Headshot Multiplier stat. Combine this Sniper Rifle with the Improved Headshots and Make It Rain traits for one of the best no-scope headshot weapons in the game. 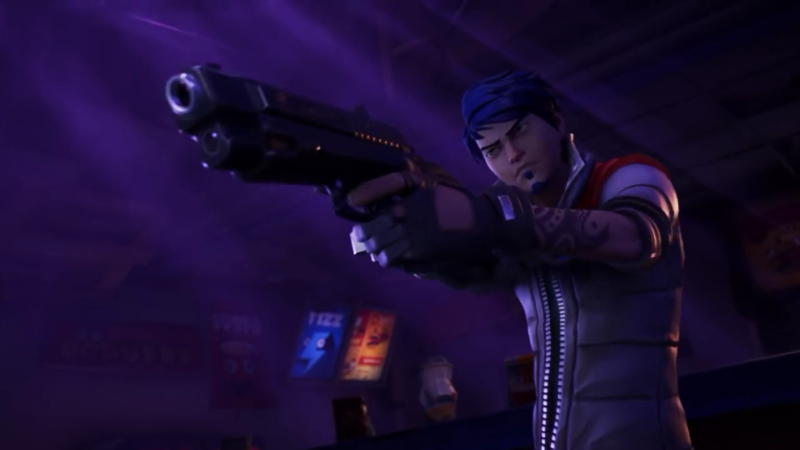 Shotguns vary widely in Fortnite: Save the World, and like Assault Rifles and Sniper Rifles, the game's best Legendary Shotguns bring their own unique strengths and weaknesses to the table. While some players may prefer Shotguns with larger magazine sizes, others want incredibly punishing shotguns that fire slowly but do plenty of damage at close range. For players eager for close-range battles against Husks and other monsters, here's our top tier Shotguns for Fortnite: Save the World. Tigerjaw Easily Save the World's best Auto Shotgun, the Tigerjaw features a high fire rate and wipes out Husks in a heartbeat thanks to its enormous DPS. Bear in mind that the Tigerjaw's magazine size is low and its range is particularly short, so this Shotgun is perfect only for the closest of close-range encounters. Thunderbolt While the Thunderbolt doesn't carry the most ammunition and takes a long time to reload, this Break Action Shotgun is perfect for crowd control at close range. Dealing significant damage and allowing for high spread that can knockback multiple enemies at a time, the Thunderbolt can help keep a Husk horde at bay and wipe out weaker monsters in a pinch. Helium Shotgun The Legendary Helium Shotgun truly stands out thanks its piercing energy slugs, which deal some pretty serious damage at both short- and mid-range thanks to its minimal bullet drop. Combine this Shotgun with the Locked and Reloaded trait for a powerful weapon that can quickly wipe out incoming Husks. Room Sweeper The Room Sweeper is similar to the Tigerjaw, except it sacrifices DPS for double the magazine size and faster reload time. When in doubt, it's better to choose the Tigerjaw over the Room Sweeper, but it's still a perfect shotgun for quickly controlling a crowd and mowing down Husks and other monsters. In most shooters, Pistols are considered useful sidearms that players can hold onto in case they need to reload their primary weapon. 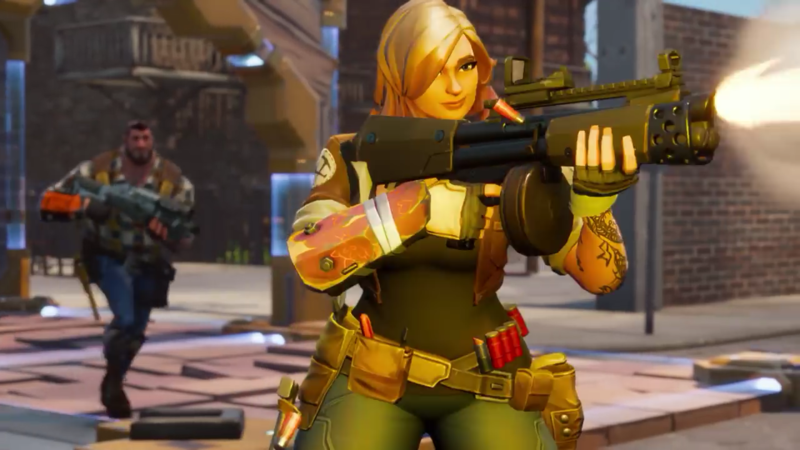 But Fortnite: Save the World gives players a lot more incentive to carry its Pistols around. In particular, Outlanders like the Ranger receive significant buffs for Pistols' critical hits and damage. For classes like Constructors or Soldiers, a good pistol can mean the difference between life or death in a pinch, especially with the Soldier sub classes' ranged weapon buffs. For some of the best Epic and Legendary Pistols in Fortnite: Save the World, here's your top tier picks to choose from. Dragon's Breath This Pistol acts a bit like a Shotgun, and it deals some pretty serious damage up close to boot. With both a far range and 264 damage knocked out per shot, the Dragon's Breath is a must-grab for any player. Combine the Dragon's Breath with the Outlander sub classes' Pistol buffs for an incredibly punishing gun. Founder's Revolt This Pistol features semi-automatic fire with relatively low damage per hit, but don't let that deter you: Founder's Revolt stands out thanks to its high magazine, fast fire rate, and incredibly far range. Aim for the head with this weapon, and you'll quickly realize why so many experienced players carry it around: It's fast, powerful, and a perfect backup weapon for when your primary runs out of ammo. Bolt Bolt The Bolt Bolt almost looks like a Handmade weapon, but it's surprisingly a Legendary Pistol. This gun stands out because it pierces targets, letting players shoot through monsters while dealing sizable damage with a high rate of fire. Unfortunately, the Bolt Bolt features high recoil, but as a secondary in a bind, it works quite well for Soldiers and Outlanders alike. Monsoon Need something automatic to finish off Husks at short range? This Heavy Auto Pistol is an incredible addition to any loadout. Firing quickly and dealing sizable damage per shot, the Monsoon chews up ammo and struggles from poor accuracy, but it's great for finishing off a weak foe. 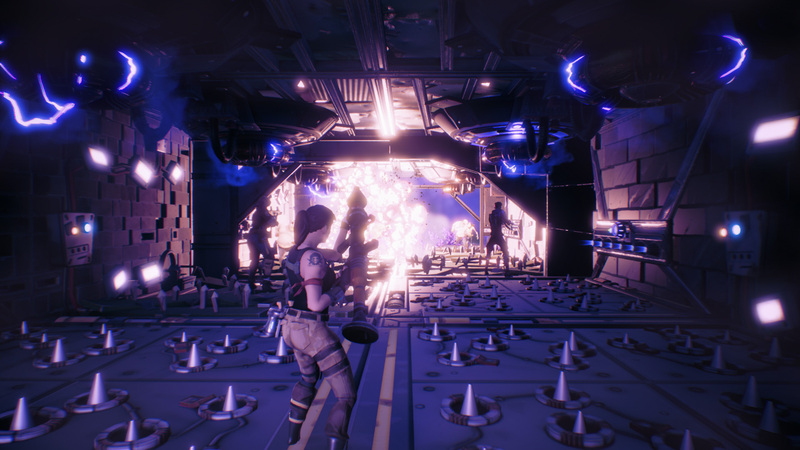 Explosive weapons in Fortnite: Save the World are limited to Grenade Launchers and Rocket Launchers, meaning there's much less competition for the top tier Explosives in the game. And while many players may go for a high DPS Assault Rifle or Shotgun over an Explosive weapon, Soldiers in particular have several traits that help buff these weapons, making them a necessary pick against incredibly tough Husk hordes. There's a couple Explosives in Fortnite: Save the World that truly stand out, and here's their ranking based on usefulness and crowd control potential. Noble Launcher Arguably one of the best Explosives in Save the World, Noble Launcher fires piercing rounds at enemies and can be charged for a larger tile blast. The Noble Launcher stands out thanks to its flexibility during play, and while its durability is low, its damage and impact are high, making it a top choice for any player. Quad Launcher Explosives generally excel at crowd control and area of effect damage, but as far as Legendary Explosive weapons go, this is one of the best. The Quad Launcher doesn't just damage enemies, it stuns them too. For particularly powerful hordes that are approaching your fort, the Quad Launcher can buy your team some time to mop up the opposition. Bazooka With zero ammo consumption, the Bazooka is a great choice for quickly dealing intense damage to an incoming Husk horde or powerful, tanky monsters. While the Bazooka has low durability compared to other Legendary weapons, its knockback and high splash damage makes this explosive perfect for quick crowd control. Thumper Like the Bazooka, this Explosive weapon doesn't consume ammo and features low durability. However, the Thumper excels at both high damage output, crowd control, and successfully knocking back enemy hordes. If you can't grab the Bazooka, go with the Thumper, it's worth a place in your inventory. 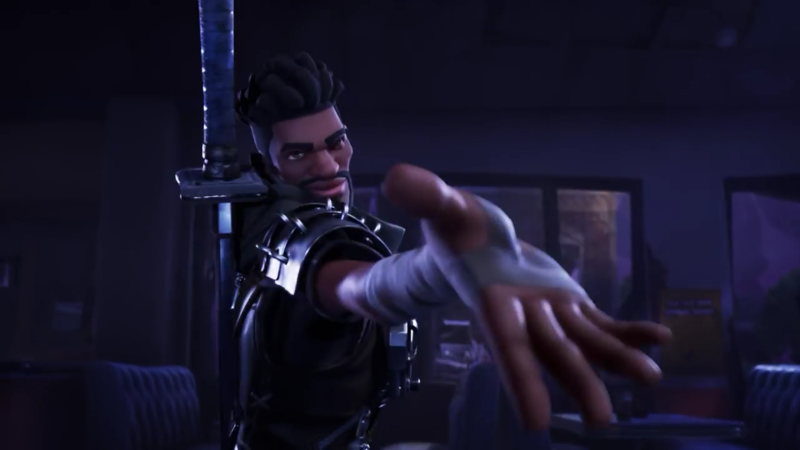 Save for the Ninja and a few Constructor sub classes, most Fortnite Heroes generally rely on firearms over Melee Weapons. But there's still plenty of blunt and edged weapons alike that deal significant damage at short range, especially when paired with powerful Ninja sub classes like Dim Mak or Dragon. For Fortnite: Save the World's closest of close-range attacks, here's our top tier melee weapons. Huskcleaver This Legendary Heavy Sword is perfect for crowd control. Dealing 51 damage per successful hit and featuring a Spinning Slash that lets Heroes launch a devastating attack that knocks back enemies, the Huskcleaver simultaneously mows down monsters while giving Ninjas a quick escape during a tricky fight. Stabsworth the III Stabsworth the III has plenty of other variations, from the Shortblade to the Nightcleave, but as far as Light Swords go, Stabsworth is the best. Featuring a fast swing rate and a Quick Slash attack that deals both high damage and knockback, this sword lets Ninjas simultaneously unleash on their enemies, control crowds, and take down the biggest foes on the battlefield. By far, it's one of the best melee weapons in the game. Slice n' Dice Like its name implies, this Legendary Medium Sword features a high attack speed combined with high sustained damage. While it sacrifices knockback in exchange for further damage, aggressive Ninja players will find plenty of useful opportunities to use this Sword out on the battlefield. Husk Stomper Featuring a relatively high DPS as a Rocket Hammer, the Husk Stomper lets users deal both significant knockback and heavy attacks against incoming foes. This Legendary Melee Weapon is a particularly strong choice for Constructors that have Hammer buffs or Hardware buffs in their sub class.